Cornish commercial energy broker Total Energy Solutions Ltd is celebrating a milestone 10 years in business. 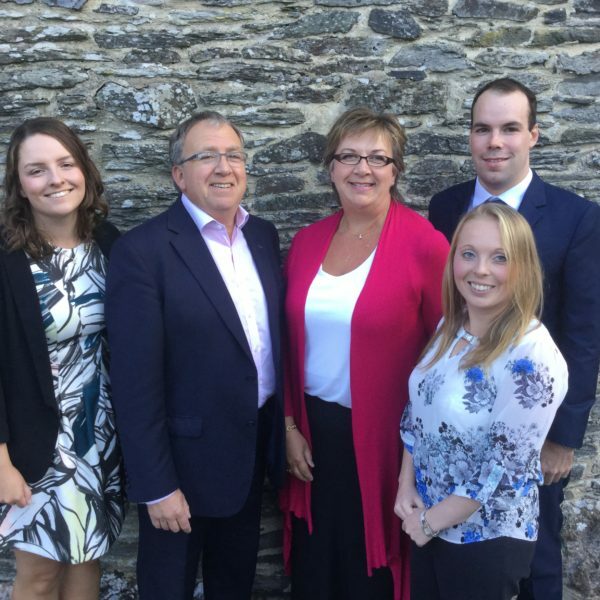 Established in 2007, the family-run firm has gone from strength to strength with a solid client base across the South West and nationwide in sectors including leisure, hospitality, care, professional services, manufacturing, farming and education. From the outset, the Stoke Climsland-based company has built itself upon a core ethos of excellent customer service, honesty, transparency and corporate social responsibility in everything they do. Celebrating the company’s 10th anniversary on December 1, Managing Director Ali said: “It is a fantastic milestone for us. What started out as a business with 18 clients and a turnover of £19,000 a year has grown into one with ten times more clients, many of which have been with for us years, and a 15-fold growth in turnover. “Energy brokers can have a reputation for being cut-throat deal-makers, but right from the outset we vowed to offer a level of customer service not seen elsewhere in the industry. It is something we are very passionate about and I truly believe is the reason why so many of our clients choose to stay with us. We are a small, strong team perfectly positioned to further extend the business through 2018 and beyond. Businesses deserve more than the high commissions and low service so widespread in this industry and we are bucking the trend to deliver the highest levels of service to all our client’s. Directors Ali and Kathryn Carnegie are also passionate about giving something back to the community, with charity work and mentoring being an essential part of business as usual. Total Energy Solutions Ltd donates 10% of its profit after tax to local charities, firmly believing in the importance of giving back and working with the local community. The team have all been involved, mentoring at the local college and further afield. Dean Bennett, Managing Director of China Fleet, said: “With so many sharks in the industry, it’s such a relief to have Total Energy Solutions looking after all our sites. I can trust them, they take all the hassle away, and that leaves me to focus on running my business."